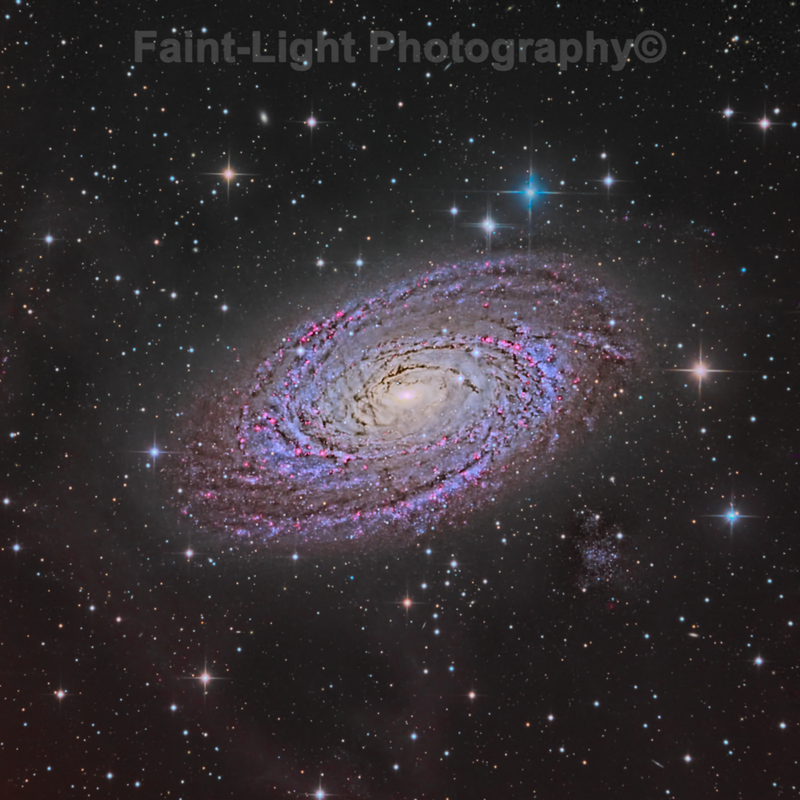 M81, a spiral galaxy, has a massive black hole at its center (70x10^6 solar masses). Young stars heating dust in the spiral arms leads to intense radiation in near infrared radiation. The "M81 Group" contains 34 galaxies at roughly 11.7 MLY from us. It is imbedded in what has been called the "Integrated Flux Nebula" (IFN), a northern broad-ranging nebula illuminated by "the glow of the Milky Way." The IFN Nebula can be seen pervading the background, particularly in the lower left of the image.